Since the inception of our Whole30 program in April 2009, we’ve made one thing abundantly clear: This is not a weight loss program. It’s not a diet, it’s not a quick fix, and it’s certainly not a “17 Day Get Skinnier Than Your Friends” kind of approach. But that doesn’t mean we don’t recognize or value your weight loss goals. Today, we are so proud to feature Whole30’ers who have lost 100 pounds or more thanks to a general Paleo template and our Whole30 program. 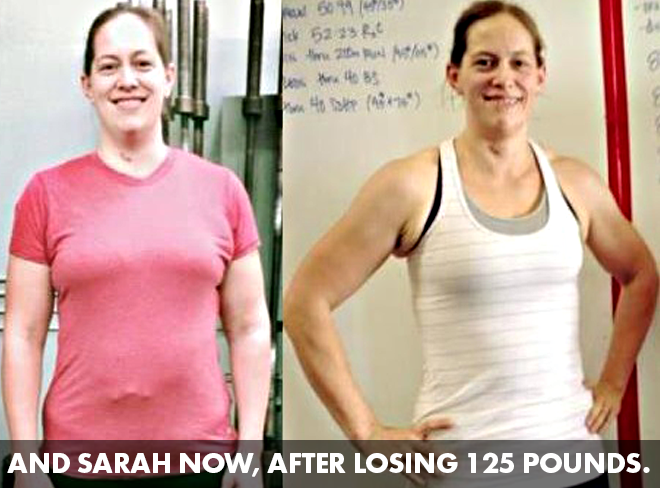 These people may have lost weight, but they’ve regained so much more—their health, their confidence, their sense of self-worth and self-love. 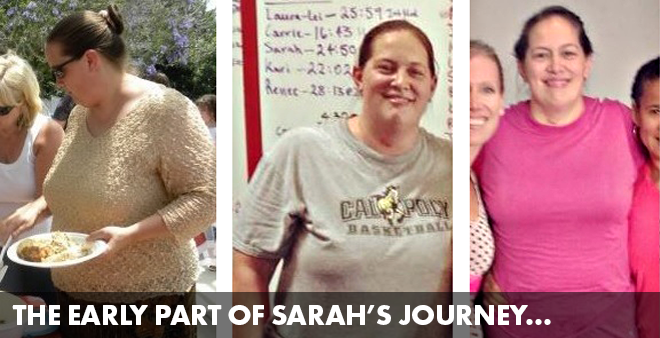 These stories beautifully represent the very essence of the Whole30 program. Read, be inspired and start your own Whole30 journey today. 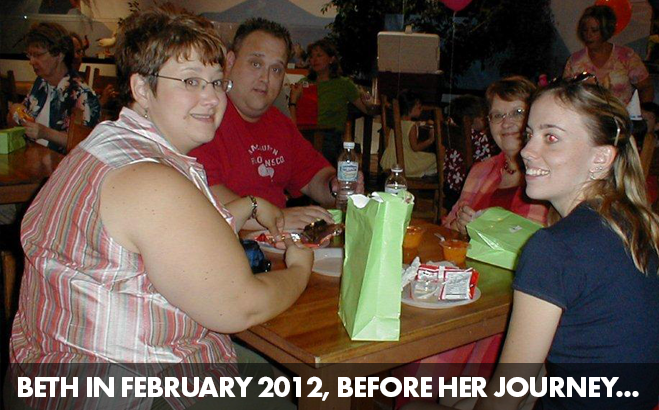 Although I have lost over 120 pounds, it is really about what I gained in my journey, not what I lost. By adopting a new lifestyle centered around Whole9 principles I have transformed every aspect of my life. My journey began in February of 2012. 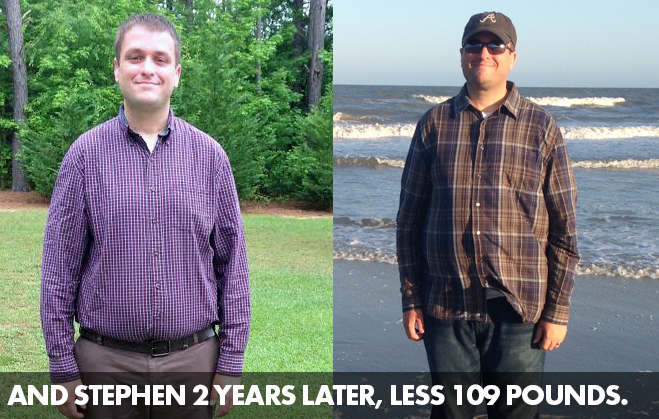 I was finally sick and tired of being fat, lethargic, and unhappy. Because I have a “go big or go home” personality, I knew I needed a dramatic, life-changing plan. I started eating Paleo (ignited by periodic Whole30s), got myself an amazing personal trainer who puts up with my sassy attitude, and learned to love my body. It is now two years later and I have never been healthier or happier. 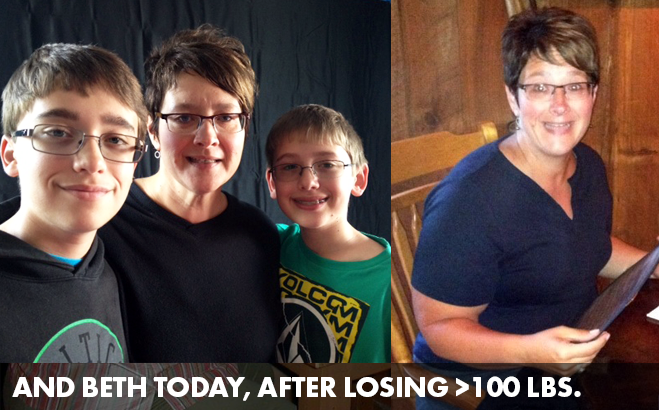 Not only have I lost over 100 pounds, but I am stronger (I can squat over 200 pounds! ), my blood pressure is lower, my allergies are better, I sleep like a baby, my mood is better…..I could go on and on! Don’t get me wrong—my journey is not over. I still have weight loss and other fitness goals—I am dead set on doing pull-ups by the end of summer. I am constantly challenging myself to try new things like stand up paddle boarding and running (ugh!). And, I am addicted to cooking new Paleo dishes for my friends; last summer I made and delivered full Paleo meals for ten friends every week. 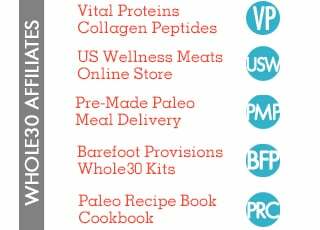 This summer I am hosting Paleo cooking nights at my house and “coaching” groups of friends as they begin their first Whole30. Last year when I hit the 100-pound weight loss mark I had a big workout party complete with spinning, TRX, and circuit training (and some Paleo friendly eats of course). Topping out at 350 pounds, I was surely on my way to type 2 diabetes, hypertension, heart disease, and many other deadly conditions. The problem for me came down to one thing: food addiction. I was literally killing myself with food because I could not control my eating. I had successfully dieted before on some various calorie-counting diets, but inevitably some major life change would happen and I would slip back into my old eating habits. 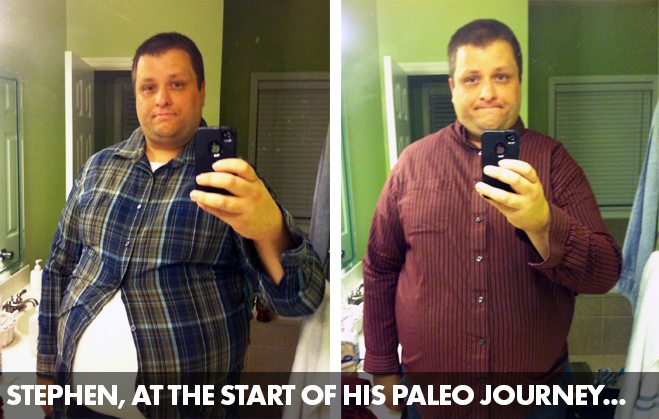 When I discovered the paleo community, I was definitely skeptical. The whole “eat like a caveman” thing was just too silly for me. I made jokes like “Does this mean I need to camp outside and hunt squirrels?” Even so, my loving wife was very persuasive and asked me to commit to at least three weeks. Trying to be a good husband, I went along with it. The first week was very hard, but with my wife’s help, I made it though. Once I got into week two, though, something amazing happened. Not only did I lose a significant amount of weight, but I also felt better than I have ever felt in my life! It was like I was coming out of a fog and entering a new realm of energy and mental clarity. By week three, I noticed that my intense food cravings were gone! No longer was I exerting willpower or simply trying to please my wife by staying on the plan. I wanted to keep going and I did not miss my old eating habits anymore.  So, I kept going….for two years! During these two years, I was met with many big life changes and reasons to go off the plan, but I was so happy with my diet that I didn’t need to revert back anymore. One thing I like about the strict Whole30 is that it is a sure fire plateau buster. I’ve gone through two Whole30 plans in the past year, and each time it has jump-started my weight loss, renewed my energy, and broken even my most difficult food dependencies. I’m very grateful to Whole30 and It Starts With Food for showing me how empowering it is to be in control of what I eat, but without the hunger and low energy that come from so many other diets. I even wrote a blog post about some of my non-scale victories, too. I have lost a total of 107 pounds thanks to the Whole30 and a Paleo lifestyle. As of right now, I weigh 243 pounds. I’ve lost 14″ off of my waist and gone from a XXXL shirt to a Large. 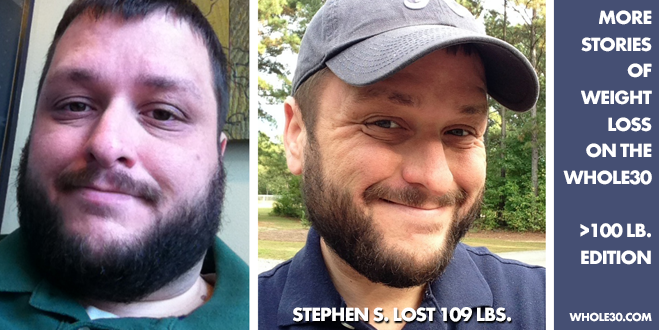 I’m currently coaching several others in their weight loss journeys and am chronicling my own journey at StephensWeightLoss.com. As a teen, I was at a relatively healthy weight. As I got older, got married, had kids (including one special needs son necessitating a lot of time in far-from-home hospitals), I put on substantial weight. I reached a point where I quit gaining weight, but I didn’t lose any either. I had very strong food cravings. Over time they simply became part of who I was. I remember planning my outings so I could hit up my favorite fast food restaurants and how to avoid long walks. Things like going to the mall, hiking, going to the zoo, etc. left me breathless. I would send my husband and kids out to do things I knew I couldn’t do. My wake up moment was when I was pregnant with our seventh child and I realized that I was 35 years old and rapidly losing my mobility. I knew I needed to do something, but I did not know what to do or where to start. At this point I was almost to my third trimester. My husband and I are blessed with large babies, so my midwife recommended that I limit my carbohydrate and sugar intake in the last three months to make sure that my diet wasn’t contributing to the size of our babies. Although our daughter was 9 pounds, 4 ounces at birth, my weight had done something remarkable. In the last two months of my pregnancy I lost seven pounds. I had more energy and felt better at the end of the pregnancy than I did in the beginning. She advised me that if I kept it up I would most likely be able to get to a healthier weight. I came across several paleo blogs while looking for low carb/sugar recipes. I purchased multiple recipe books and started experimenting. The food was tasty and I was able to gradually lose weight (about 20 pounds over six months with a new baby) while not feeling deprived. My cravings were not gone, but they were at least more manageable. I knew I needed to add in exercise, but I was not at all athletic and I had never worked out. I had several good friends who had been active in CrossFit for a number of years so I decided to try out our local box. The coaches and members welcomed me and showed me how to scale the workouts down to something I could manage. Over the last year as the weight came off I discovered a whole new world. I can run faster, father, and lift more weight than I ever imagined. I have learned how to work through things that are uncomfortable for me. I have a whole new group of friends, some of which have become very dear to me. Through this process, several friends mentioned that they had at one point or another done the Whole30 as a dietary reset. Out of curiosity I ordered It Starts With Food. The first time I read it, it scared me. I though there was no way I could ever do something like that and put it down for several months. However, the chapter explaining food cravings stuck with me. Although my relationship with food was vastly improved, sugar, dairy, and paleo-fied versions of what I used to eat were still prominent. I couldn’t imagine life without Starbucks! In January I started the Whole 30—actually, we did a 60 day version. This experience changed my relationship with food. Those 60 days were not nearly as hard as I thought they would be. I’m a planner, so I had meal plans, backup meals, and snacks in the car. Failure was not an option. At the end, I not only had more energy, but my taste in food drastically changed. Things that I had previously enjoyed like Starbucks and paleo pizza were now overly sweet, heavy, and boy did my body tell me when I tried to eat something it didn’t like! Now I only really have cravings when it’s been too long since I last ate. I can recognize that for what it is and fix it. I wake up in the morning before the alarm and I don’t need coffee as a required part of my routine. Trying to describe how all of this has changed my life simply isn’t possible in a short space. My blood pressure, sugar levels, and body fat percentages are all in the health range. I don’t worry about what activities I can or can’t do or if I will be able to keep up with the group. All of these changes were very gradual. I lost on average just 1 to 1.5 pounds a week, but over a year it has really added up. My husband recently took some of my photos and made a collage. I was shocked! It looked so much more dramatic than it felt to me. I hope that by sharing this it may encourage someone else that they too can make positive lifestyle changes that can really improve your quality of life. 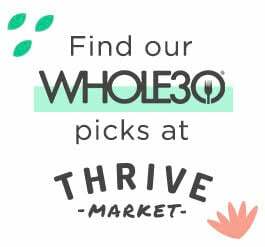 We encourage you to read more of our readers’ stories and our A-Z testimonials to learn more about what the Whole30 can do for you. (Trust us, our program goes way beyond weight loss.) Let us change your life, or the life of someone you love. Start your Whole30 journey, or send someone you care about to our website to help them change their relationship with food forever.